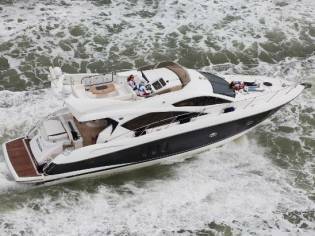 Our most successful new model launched by Sunseeker in recent years, the award-winning Manhattan 52 needs no introduction. In excess of 120 hulls built in less than 3 years, proves the all-round capability of this voluminous flybridge motor yacht. “BETSEA” was commissioned and delivered in Spring 2017, to her highly experienced family owners. 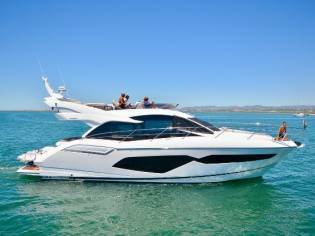 Having previously owned other Sunseeker models, they wanted to create something truly special, leaving almost nothing off the factory options list! Powered by a pair of shaft drive Volvo Penta D11 725hp diesel engines, she has a great turn of speed for a cruiser of this size. Her inventory includes: a Seakeeper gyro stabiliser, proportional bow and stern thrusters, upgraded 17.5kW generator, hydraulic high-low bathing platform, passerelle, crew cabin fitout, reverse-cycle air conditioning, separate custom-designed diesel heating system with exterior outlets and windscreen demisters, full suite of Simrad navigation instrumentation – large dual screen plotters to both helms, broadband radar, autopilot, AIS, fishfinder module & DSC VHF, flybridge bimini, ice maker, wine cooler, BBQ, dishwasher, upgraded AV system to include Samsung LED TVs in all cabins plus saloon, Pepwave onboard 4G wi-fi router, full Sonos stereo system throughout, Satellite TV throughout, underwater lighting, teak decking throughout and much more. 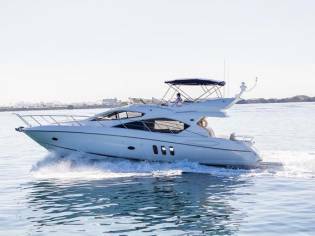 Professionally captain maintained from new, she is fastidiously serviced and cleaned on a weekly basis, giving her owners the luxury of true turn-key boating. Her tasteful décor comprises of classic sumptuous high-gloss black American walnut cabinetry, contrasting with light worktops and soft furnishings throughout. Upgraded light oak flooring in the main living spaces gives great practicality and style. Only now listed for sale as the owners have ordered another almost identical new 52 for the 2019 season! Currently lying afloat at Lymington Yacht Haven and available to view 7 days a week by prior notice. Further photos available by request. Worldwide delivery can be arranged at additional cost, please ask for further details. 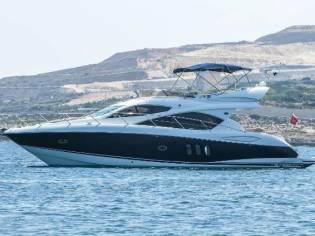 Prices of Sunseeker Manhattan 52 boats from 2017 advertised in iNautia.com in the last two years. The price of the advert is €1.081.492, 9% cheaper than the average cost. 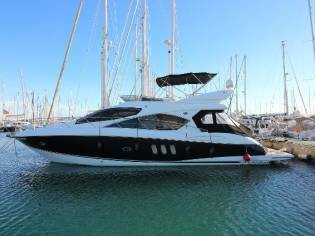 You can buy this Sunseeker Manhattan 52 of 2017 located in Hampshire (United Kingdom) for 1.081.492€. 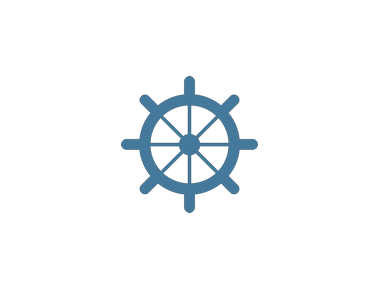 It is a motoryacht with 16,50m of length and 4.8m of beam.